We’re excited to bring you the first episode of our new podcast. 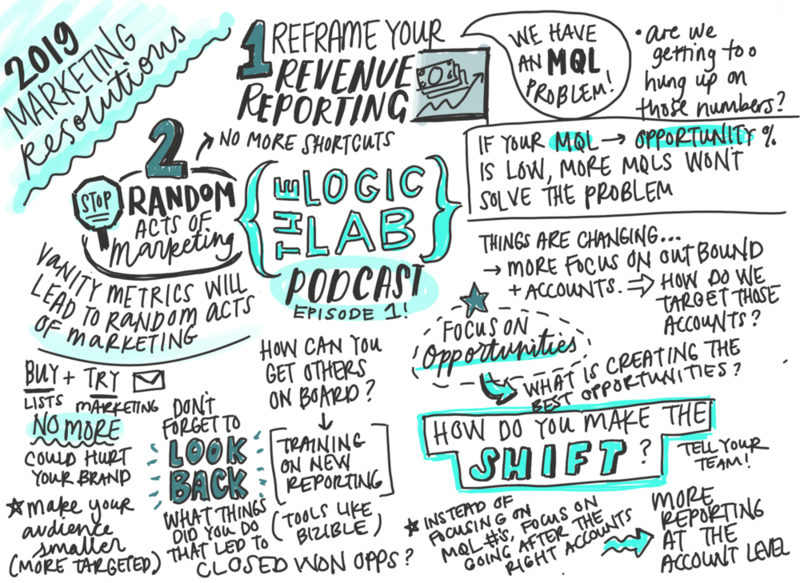 Through the podcast we plan to bring you candid conversations about the latest B2B marketing trends and news, and provide some actionable advice that you can apply to your marketing strategy. In this first episode Crissy and Charlie discuss a couple of their recommended New Year’s Resolutions for your marketing team. Both resolutions have been discussed for years, but many B2B companies still struggle in these areas, so we hope the discussion is helpful as you plan for 2019 and beyond. 2) Put an end to random acts of marketing & be more strategic with your campaigns. We are always looking for new ways to share our perspectives, so we hope you enjoy our new podcast! What it Takes to Grab a Seat at the Table - WomenInRevenue.org Event Recap!